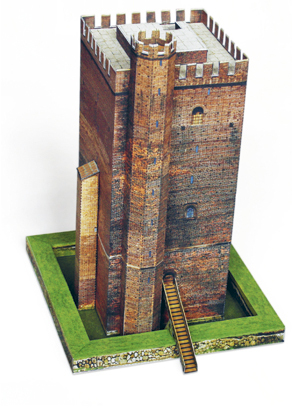 Make history come to life and build your own scale model of Helsingborg’s iconic tower, Kärnan. Kärnan of Helsingborg is a paper-model book that contains historical background information as well as durable paper parts which you can cut out, fold and glue together to make your own 3D scale model of the keep of Helsingborg, Sweden. The model has two levels of detail, which means it has optional parts that make it more challenging and add more detail for experienced users.